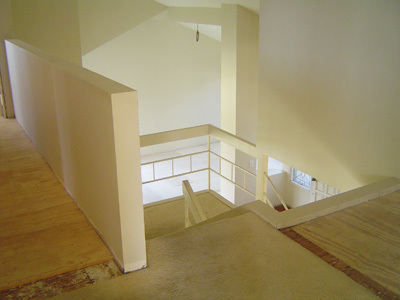 This Stair Remodel consisted of removing several small pony walls and rebuilding the lower stair landing. 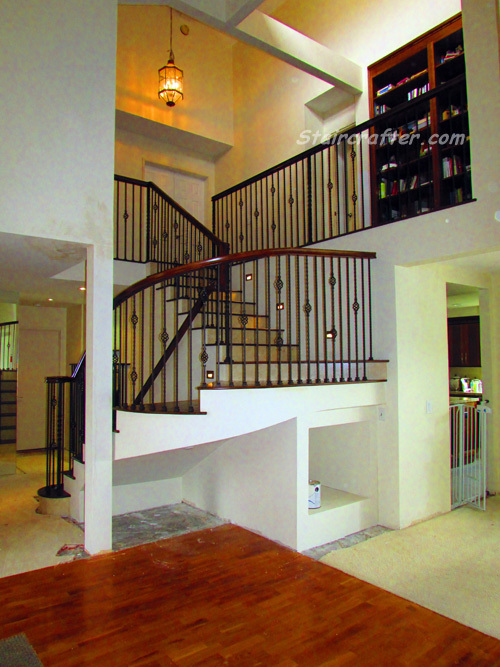 At the top of the stairs the pony wall was removed and a partial handrail was installed where there was none. 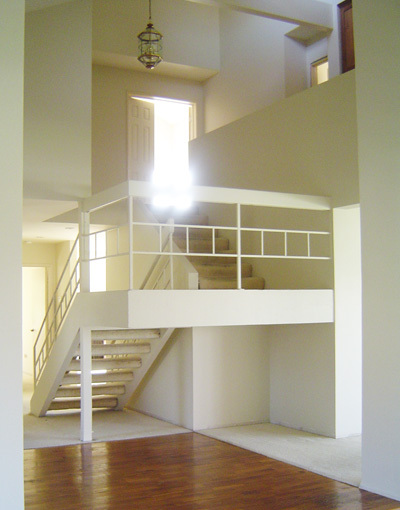 The staircase landing was rebuilt from a square turnaround landing to a smooth 180 degree landing. 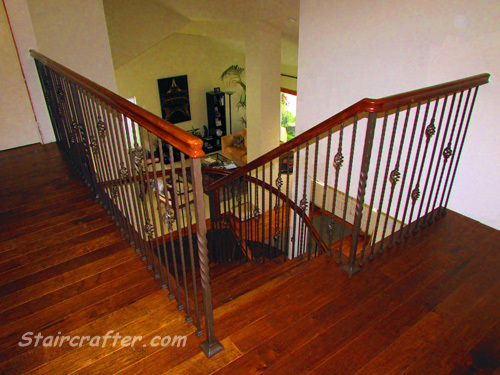 The new stairway and railing have a beautifully stained wooden handrail and matching wooden flooring. The balusters are classic twisted balusters mixed with basket balusters installed in a diamond pattern. Note this staircase has decorative iron Newel Posts which incorporate the twisted pattern.